New York - Come January, the banking industry is going to be on Rep. Maxine Waters’ time. 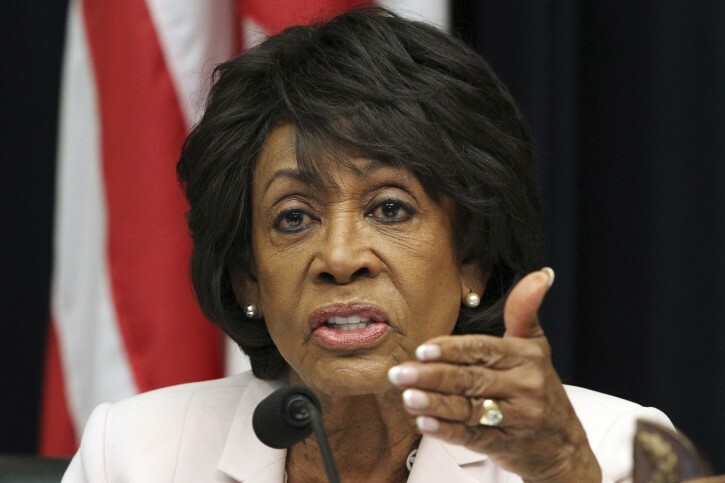 Waters is no friend to the nation’s biggest banks and Wall Street, and has been a vocal critic of President Trump and his administration. She has called for more regulation of banks, and has opposed Trump’s political appointees moving to roll back regulations on banks and other financial services companies. Good they should investigate her and her husband. They made $15 million illegally. Max Maxine is trying to kill another industry. All libs do is kill jobs. Thank Goodness Trump has brought back millions of jobs in less than 2 years. The banks killed plenty of jobs bundling garbage mortgages for investment banks. Housing and construction sectors cratered. "All libs do is kill jobs"
In 8 years of Democrat President Obama: Created 17.2 million jobs from the beginning to the end of his term. But Obama created 22.3 million jobs from the worst part of the Great Recession (January 2010) through the end of his term. In 8 years of Democrat President Clinton: created 21.5 million during his term. Newt Gingrich said "liberals have a whole set of statistics that theoretically may be right, but it's not where human beings are." "There’s also likely to be more scrutiny of Deutsche Bank, which has been the primary financier of President Trump’s business entities since before he became president." That is probably the real point. My instincts tell me that the main thrust is to hassle anyone or anything that may be linked to Republicans. Those that are Democrat supporters will be left to last (meaning never - at last never under Democrats). There you go tricky yoni on your bernie socialist anti / occupy wall st tirade . Banks did what consumers and the govt wanted . They made lots of loans . In order to do that obviously they need to bundle it and flip it as packages so risk is diversified . We only wanted low income people and minorities to get loans . It was systematic. Sure there was greed . But greed was on all ends . And we recovered . No pain no gain . Banks and financial firms are great job creators . I work for one . Got it tricky yoni , yamsar ? She should be fitted for an orange jumpsuit for inciting violence against Conservatives. I guess when you are a liberal you can do and say whatever you want. “ There you go tricky yoni on your bernie socialist anti / occupy wall st tirade . Exactly and then they hid the risks from retail investors. Interesting you would associate me with Sanders when I have been a lawyer specializing in financial services and corporate transactions. You value taglines instead of information and your insistence that I am Yoni just shows you can't accept the fact that multiple people disagree with you. I grew up in Queens and live in Nassau County. If you want to speak on the phone, respond here. Let's set u straight so you can exorcise your demons. Hey yoni your name convieniently started popping up the day yoni said he is disappearing ? Coincidence ? Yamsar you are not too bright . The did not his risks from anyone . That's nonsense . Everything was there . If retail investors are to stupid to think things thru that's not the evil wall st guys fault . She should be imprisoned for being so ugly. “ "All libs do is kill jobs"
Even CNN can't make up such lies. Her punishment should be that she has to look in the mirror for 5 hours a day.